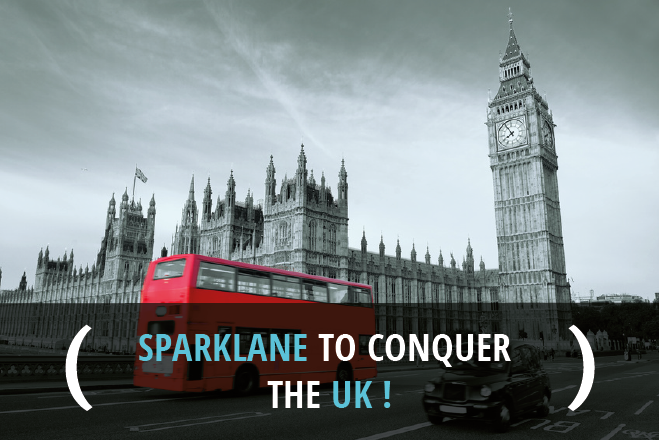 Sparklane to conquer the United Kingdom ! . ACCUEIL / ESPACE PRESSE / Sparklane to conquer the UK ! Following our great success in the French Sales Intelligence market, Sparklane is launching its assult on the UK B2B Market, with the opening of a brand new office in the heart of London. After 7 years of continual success, with growth rates over 50% per year, Sparklane has become the French leader of Sales Intelligence solutions. To be clear, the mission of Sparklane is to predict who are your next clients. Its solution is to support sales people in their search for new clients. Sparklane gives them the capacity to identify precisely their potential prospects, and to analyse all the available information (business triggers) about them. As a result, Sparklane is scoring each lead according to its buying potential, enabling the sales to prioritize their actions focusing on the best targets at the right time. Sparklane presented a 2015 Revenue of 5M€ and is targeting 8M€ in 2016. Sparklane has over 80 employees. Growing fast, Sparklane is now opening a new office in London, to propose its solutions both on French and British market. Set up in the very heart of the City, the new Sparklane International Ltd’s mission will be to provide its British clients with the solution that has built the success of the startup in France. Frédéric PICHARD relies on the dynamism of the British market to develop quickly its activities across the Channel, and to set Sparklane as one of the key Sales Intelligence providers in the United-Kingdom.